Staff Viewpoint: Nintendo franchises that need a revival? As most of you may know, Kid Icarus: Uprising released not even a month ago on the next gen portable Nintendo 3DS. A revival no one, not even Nintendo, saw coming in its future. Some screamed, others fainted, most were shocked into skepticism and the real question always was: How is Nintendo going to pull it off? Fans rejoiced and from the user base it not only sold good but it was a delayed revival well worth the wait. So why couldn't Nintendo pull it off again? Of all the franchises that deserve a revival from Nintendo's history, there is only one that deserves it more than all others. Ice Climber. Other than appearing in the hit series, Super Smash Bros., and a port on the GameBoy Advance, the Ice Climbers have been absent since the Nintendo Entertainment System over twenty years ago! It's debatable really, it's either you loved it or hated it. Most people took the latter but many new aged gamers would never understand the appeal and opportunity Ice Climbers once brought us. Sure, Super Mario Bros. and Legend of Zelda were no brainers and technically were the only games you needed, but cult classics were everywhere at the time as this is definitely one of them. If Project Sora can take Kid Icarus on the NES and overhaul it to Uprising's high standards, then imagine what a developer like Good Feel or Intelligent Systems could pull off? Surely it's a "hit and miss" procedure to predict exactly what, but Ice Climbers could be turned into virtually anything. A collect-athon a la Super Mario Galaxy or just a plain old adventure game like Legend of Zelda or Star Fox Adventures. Aiming for a handheld audience like Kid Icarus' revival did (to play it safe of course), we might one day see it come true. It's no secret that the game may be a turn off to even developers who normally are willing to work with Nintendo's franchises but maybe, just maybe, someday a developer or even Nintendo themselves, will step up to the plate! What Nintendo Franchise needs a revival? Being a fan of the two I say the Starfox Series and the F-zero Series. First let me start off with Starfox, now I know Starfox 64 3D was released in September of 2011 but I personally do not consider this a new Starfox game, as it is just a remake of the Nintendo 64 Version. While I heard that Starfox Assault and Adventures were pretty bad I cannot speculate on them because I didn’t play them. I did however play Starfox Command and unlike 64 I liked being able to fly around the maps instead of being restricted to a certain flight path. Some more things Nintendo should do to keep the series relevant is to include an online component (again like Command, this was actually my favourite part of the game), DLC, (this is something a lot of Nintendo games would benefit from), No more gibberish chatter (it’s the 21st century come on) and lastly sticking to your roots. I don’t know about anyone else but when I play a Starfox game it’s to jump into an Arwing and blow the hell outta other alien ships, keep the on foot segments from Adventures but don’t make it a very large part of the gameplay. Now onto F-Zero, there hasn’t been a new f-zero game since 2004 (F-Zero Climax Japan only). When it comes to home consoles GX was the last game released and that was in 2003. The only games I’ve played in the Series were GP Legend (Gameboy Advance) and F-Zero X (N64). Outside the obvious (Online, DLC, etc) I can’t think of a way for Nintendo to bring back the franchise. Maybe taking some ideas from Need for Speed allowing players to build and customise there own machines, but still keep with the fast paced arcade style we have all come to know and love, or possible (again from NFS) making an open world game to explore when your not in a race, these are just a few things I can think of. Fans have been asking for a new F-Zero game for a while now so hopefully Nintendo has some sort of announcement at E3 2012. It never received the love it deserved... for bringing those love who played through it! The best game was a low-sale flop. And USA was lucky in getting it: Earthbound - The War Against Giygas!! aka MOTHER 2 for the SNES. No other game gave me such a rollercoaster of emotion, excitement and attachment. Back in the time masterpiece Chrono Trigger was close, but Earthbound was very special as it was just so different from any other RPG with its 90ies suburb setting, awkward graphics, innocent characters, quirky adventurous story, and its trippy overspaced soundtrack. It felt fresh because it was an RPG exception that had no sword swinging manga hero fighting dragons. The first game, Earthbound Zero aka MOTHER (for the NES), was officially translated, but never officially released. It is one of the few games I really wanted to see on the VC because... why not? The game is ready, translated. Load it up, Nintendo. What's the problem? MOTHER 3 was in development for a very long time, 8 years, being cancelled on the Nintendo 64 disk drive 64DD, and later being cancelled on Nintendo 64 altogether. After a complete rework it came out on the GBA. It was another gorgeous RPG with way more serious touches, like kids losing their mother, and actual problems of our real world mixed with the trademark Earthbound crazyness, but it was only released in Japan. Thanks to a dedicated, independent translation team there's an unofficial translation patch available. Even the remake MOTHER 1+2 for the GBA was only released in Japan. None of the games were officially released in Europe. 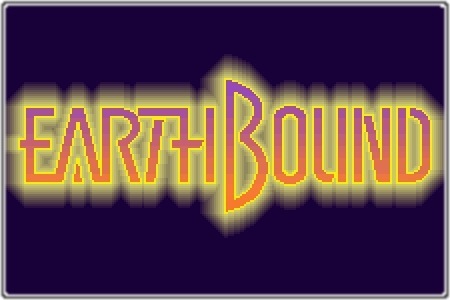 The only games with a bit of Earthbound inside we got were the three Super Smash Bros. games. Nintendo needs to revive this so it can hopefully get more attention. Give this game a chance!! Re: Staff Viewpoint: Nintendo franchises that need a revival? Are there anymore staff statements to add. Hmm. It seems it is not letting me edit your post. If i PM my post to you will you add it for me? Where's Starfox or Paper Mario for the Wii? Super Paper Mario does not count "it's not even close to how a Paper Mario game plays" I like your choice of Earthbound @SKTTR. Wasnt there a Paper Mario game for Wii. I remember playing. We're also getting a Paper Mario on 3DS. So the franchise is definitely not dead. I actually really want to get Papar mario for the Wii. I loved the gameplay of that game. Does anyone else miss Star Tropics? Sailormoongal wrote: Does anyone else miss Star Tropics? Well, StarTropics was one of the games very high up on my list. But I had to take the one that needs a revival most. Earthbound definitely needs a revival! And it definitely needs to come out on the VC. I know it won't, but it should. Little Nemo The Dream Master would be another good one for a revival. I'm not sure if they had another one after the NES, but I do remember the movie that came out. I don't know if Mother will see a revival since it sounds like Itoi is done with the series for good, but I do hope the games make it to America in some form. It's disheartening to think that many will never experience Mother 3. Remakes or Virtual Console releases, whatever it takes. As for Ice Climbers, that would be terrific. There's so much they can do with that IP given how basic the original game was. The concept is untapped. After brawl i kinda wanted to see a new Ice Climbers game myself. I never really noticed the the series Nintendo is just sitting on.